The music of Freddie Mercury was from our time. We remember Queen and they made a major impact on us. If you were fortunate enough to see them perform in 1985 at Live Aid, it is something you have never forgotten. They were a part of our generation. There has never been another time in history like that time. We wanted to experience everything. Our generation was going to change the world. We embraced flower power and championed for peace. Queen made us believe we could do anything. 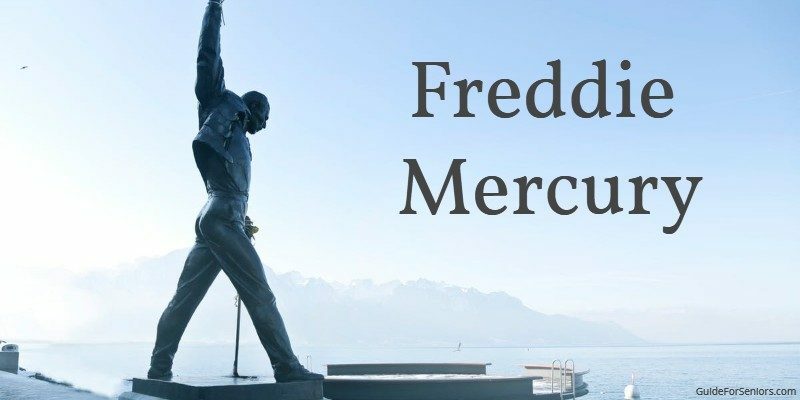 Whether it is the epic “Bohemian Rhapsody”, the exciting “Don’t Stop Me Now”, the non-politically correct “Fat Bottomed Girls”, and the famous “We Are the Champions” or “We Will Rock You”. The list goes on and on. He was a musical genius, and he was from our era. The younger generation is just now discovering the flamboyant Freddie Mercury. Our kids and grandchildren may see us in a different light after listening to Queen and perhaps understand the times we grew up in. It was almost a lifetime ago but we remember it like it was yesterday. That music was a part of our lives. Our generation did not sit idly by and let life pass by. We all participated. Today we are not so different than we were then. Now is not the time to change your ways or to give up. Experience all that life has to offer. We have raised our children and taken care of our families. Throw caution to the wind. Now it is our time to do it all. 1. Move to Florida. After all, it is the law. Everyone over the age of 55 is required to move to Florida. But only if you want to. 2. Eat healthy food. Only one big mac a week! 3. Go to a ball game. The Braves were important years ago and they still are. 4. See a movie. Start with Bohemian Rhapsody. End with Teenage Ninja Turtles. 5. Continue your education. Who says you are too old to learn? Today it is more enjoyable than ever. 6. Go out for coffee with a friend to Starbucks. You can afford the $5 for a white mocha creme. 7. Call your brother or sister on the phone for no reason at all. 8. Travel and start on that bucket list. You will survive sleeping on a hard bed. 9. Take piano lessons. It is fulfilling to play Twinkle, Twinkle Little Star. 10. Go to your granddaughter’s recital. You will enjoy it, but not as much as she will. 11. Eat your broccoli. George Bush may not like it but Barbara does. 12. Grow your own tomatoes. Get a plant from the neighborhood nursery. Just don’t forget to water it. 13. Take care of the grandkids for a day. A day is about all we can or want to handle at one time. 14. Take your vitamins and minerals for a strong and healthy body. Try to remember to take them daily. 15. Go for a walk and work up to attending Zoomba at the gym every week. It will not hurt you. There is so much more of this world to experience. You wanted to do it all years ago but were busy raising children and taking care of life. Pack your bags and go. The little things will make a difference. There is nothing stopping you now. Read more for and about seniors at Guide For Seniors.